Would you like to change your credit card billing information on your Envira Account? This is simple and easy to do. 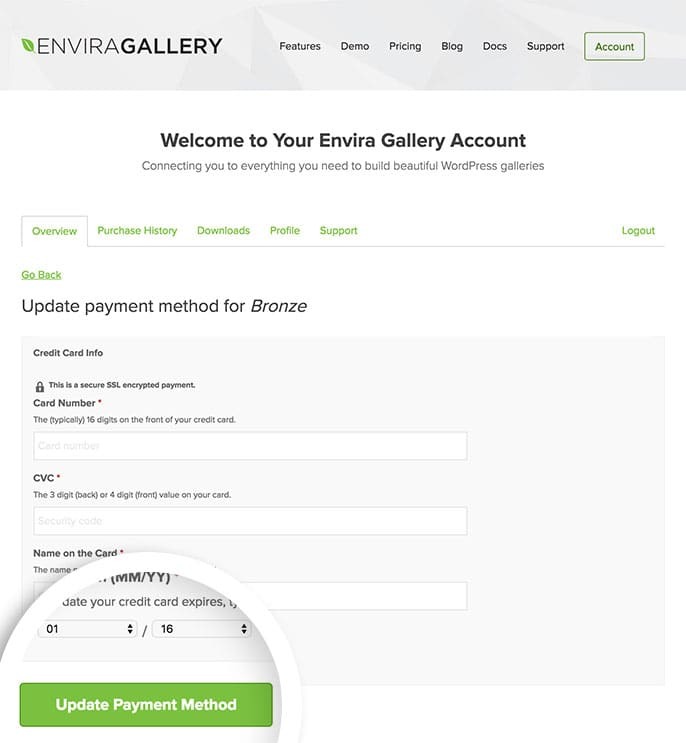 We’ll walk you through the steps to update your payment details on your Envira account. Why doesn’t my account show this option? Why can’t I update my credit card information? If you purchased your license with PayPal, you will not see the button to update your details. You will need to update your credit card details in PayPal. To update your credit card, log into PayPal and navigate to your Profile. Once you’re there, click the My Money menu option from the left and update your credit card details within PayPal. 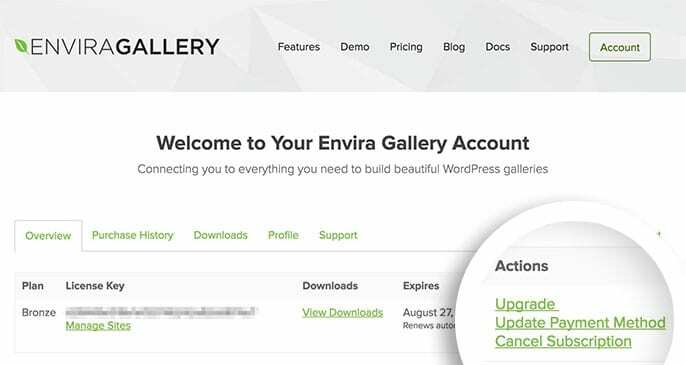 First, you’ll want to login to your Envira Account. 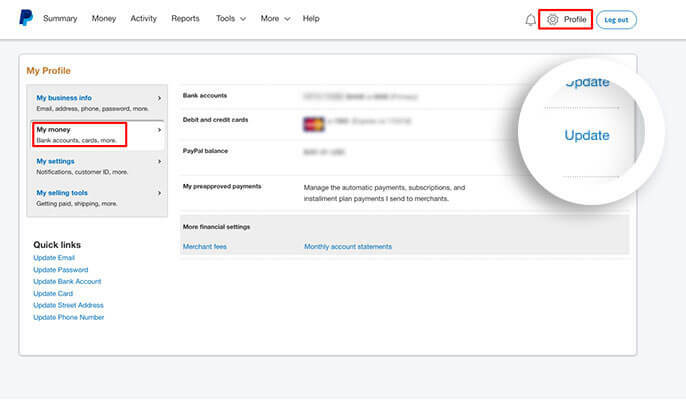 Once logged-in, you can select the Update Payment Method option from the Actions column in the Member’s Area Dashboard. On the next screen, you’ll see a form you can complete with the new billing information you wish to use for your subscription. Complete the form and select the Update Payment Method button to apply the changes to your account. That’s it! You’ve updated your billing information. This will now be used when your license auto-renews at the end of its current term. Q: Why doesn’t my account show this option? A: This guide does not apply to you if you purchased your Envira license before June 2016. If you purchased before June 2016, your license is not a subscription, will not be auto-renewed, and there will be no option to update your billing information. Instead, you’ll receive an email notification approximately 30 days from its expiration date that contains a renewal link. When renewing the license you will be prompted to input your payment method. Q: Why can’t I update my credit card information? A: The only way to change from PayPal to a credit card is to cancel the current license and re-purchase under a new account with the credit card information. You can only update the credit card on the PayPal account, you can’t switch the payment types.